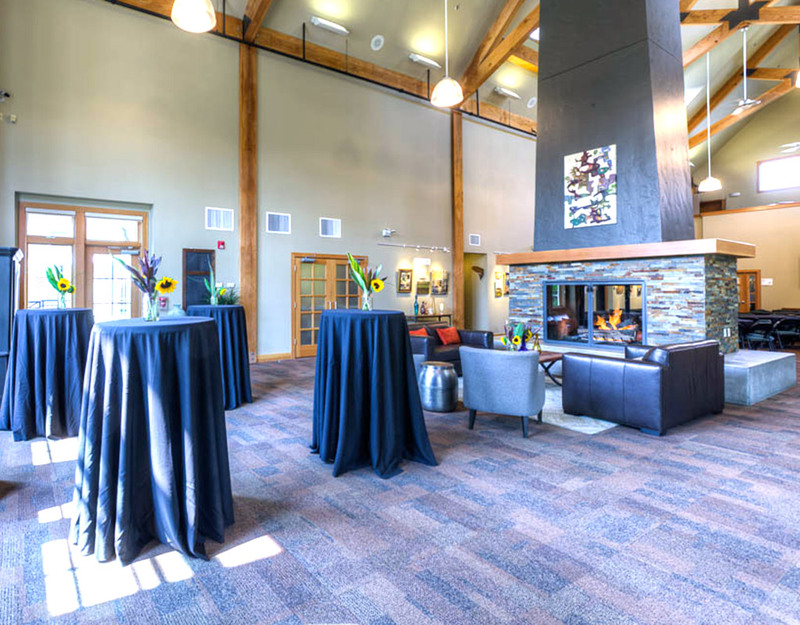 A beautiful event space with the feeling and comfort of a lodge. 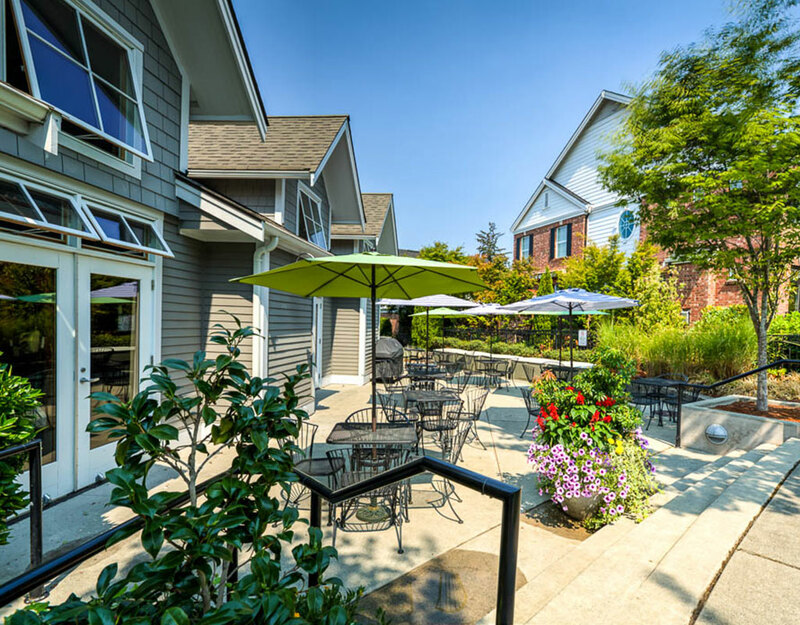 Blakely Hall is located in Issaquah Highlands, an urban village community in the foothills of the Cascade Mountains in Issaquah, WA, less than 20 miles east of Seattle, with easy access to I-90. 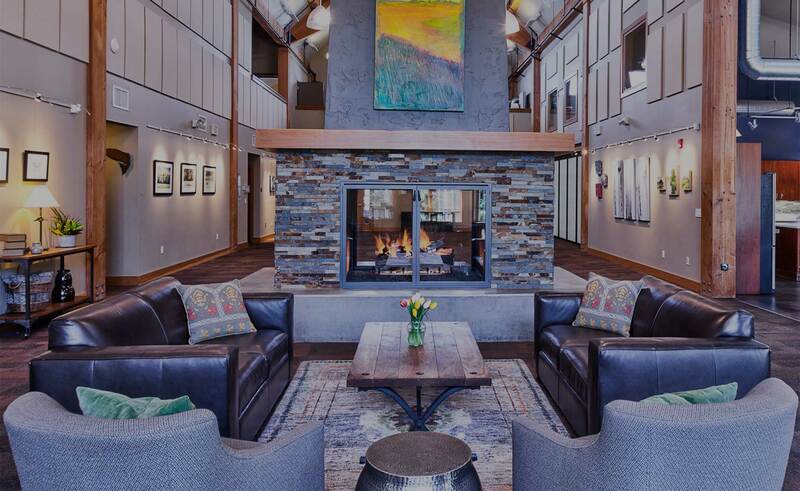 The 3,300 square foot venue features a Great Room with a giant fireplace that greets your guests as they enter, a full kitchen/dining space, and our newly remodeled studio space is perfect on its own for small meetings or art classes. 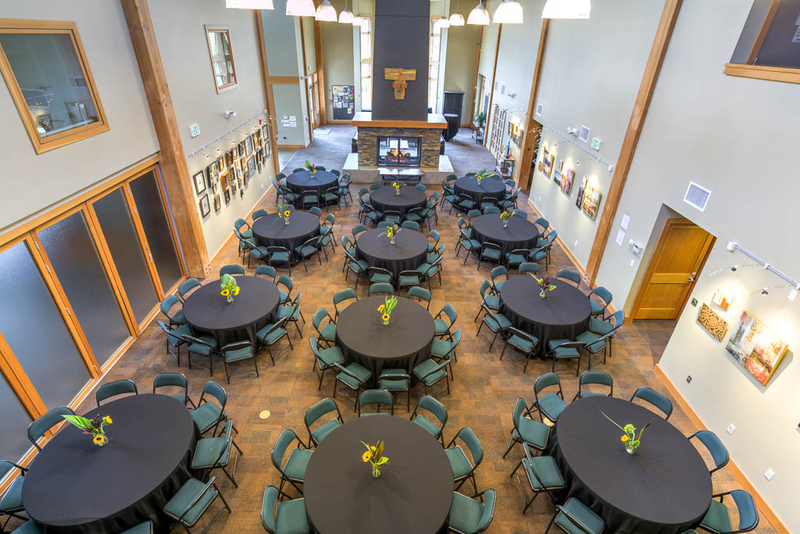 Ideal for celebrations, weddings, business meetings, fundraisers, or any type of reception, Blakely Hall has space for up to 200 guests. In addition to the indoor facilities, there is furnished patio and a BBQ grill available for rent. 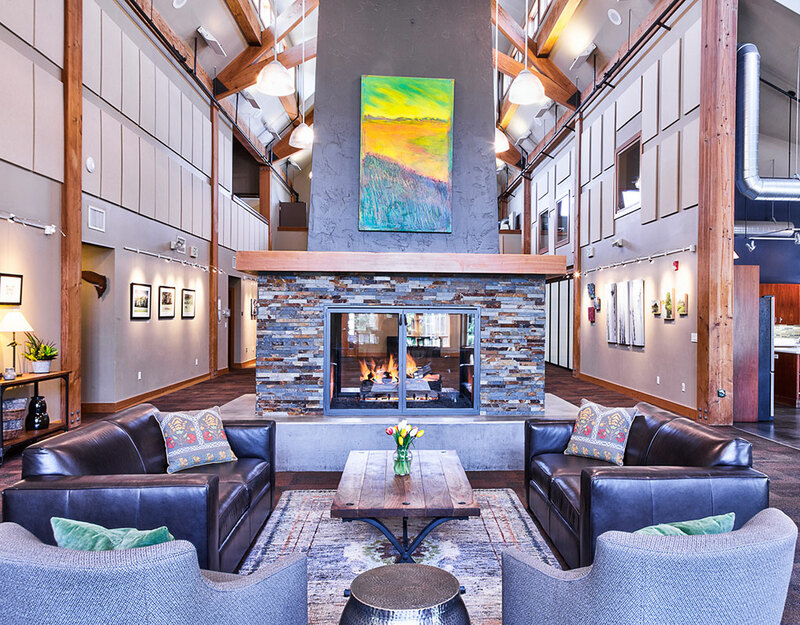 The Great Room is perfect for parties, meetings, or seminars when the guest count is between 50-100 people. 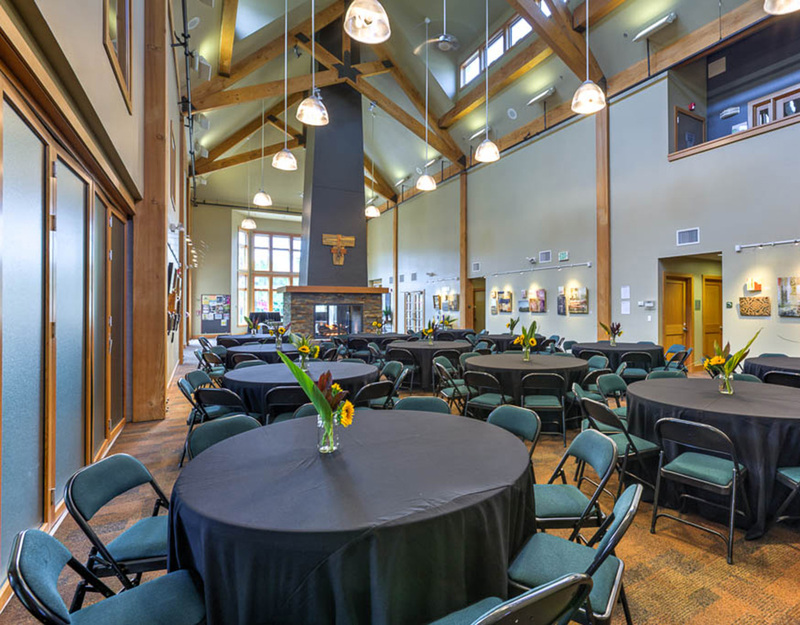 The room can be configured theater style, classroom style with tables, conference style, or in a variety of ways for dining. 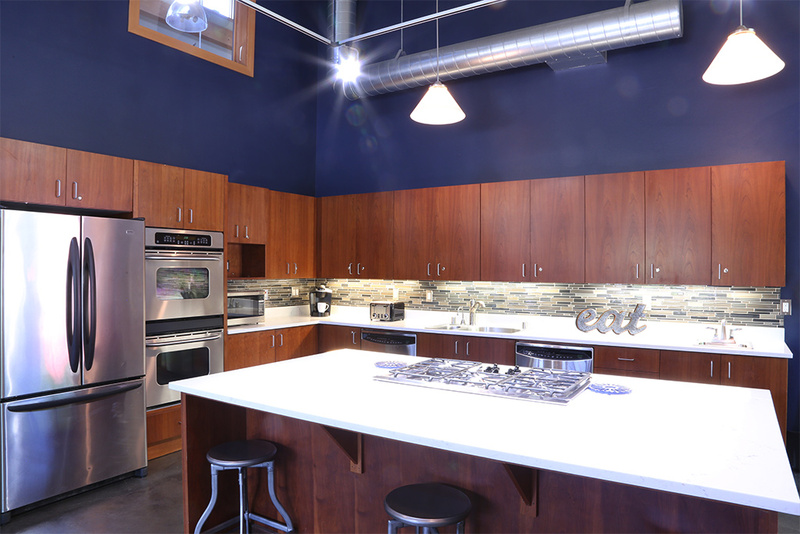 Our kitchen is loved by caterers and non-chefs alike. 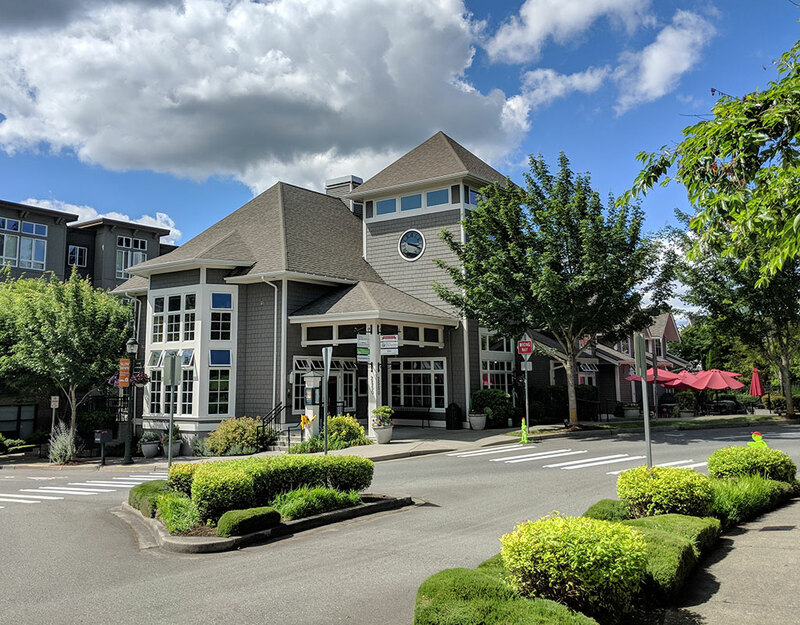 The beautiful dining room table was hand-crafted by an Issaquah Highlands resident and makes a beautiful foundation for your buffet presentation. Our Studio space is ideal for business or community meetings, kids classes, art workshops, and dancing! 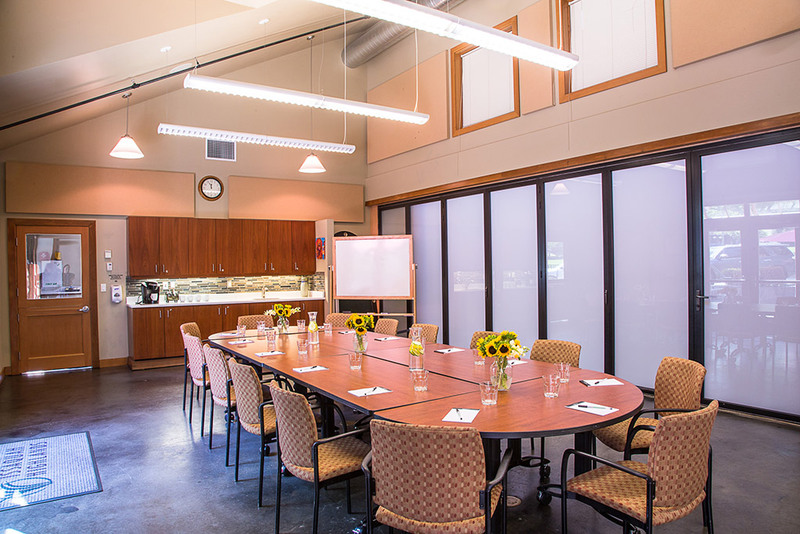 As a private space it accommodates up to 46 guests and can be configured to your liking.